The music is enigmatic, dark and mesmerizing. 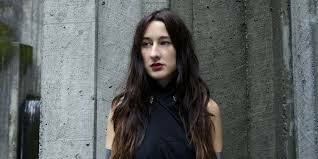 Zola Jesus [Nika Roza Danilova] is also a phenomenal performer. Unfortunately the closest date to Boston is Providence, RI. It’s been years since I’ve been to a show in Providence but I just might do for this tour. Taiga is on my Best Albums of 2014 list. This entry was posted on December 23, 2014, 18:58 and is filed under Music. You can follow any responses to this entry through RSS 2.0. Both comments and pings are currently closed.